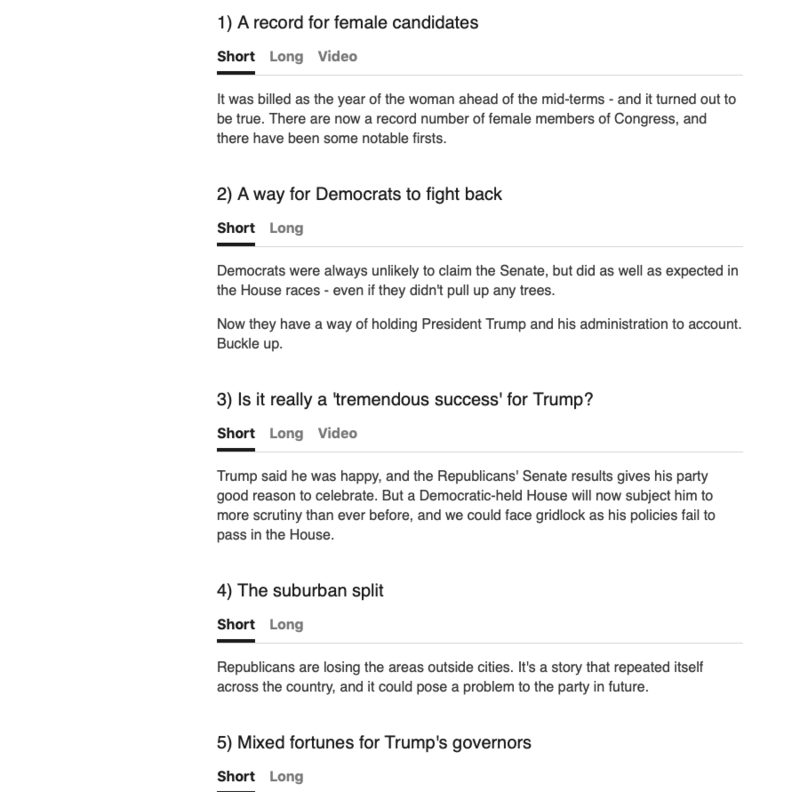 BBC News published an article on its website offering analysis of the November 2018 US midterm elections. Five ‘lessons’ from the election results are provided, under a heading for each – including ‘A record for female candidates’ and ‘The suburban split’. But the overall approach is a neat model for highlighting key points on a web page, while giving clear routes to deeper detail for visitors who want it.